I speculate she will end up as the Sars Commissioner. 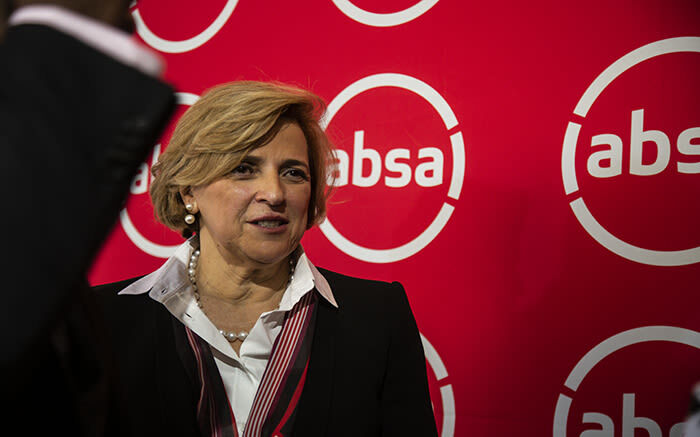 Maria Ramos, Absa Group CEO, will retire at the end of February. She becomes eligible for retirement on 22 February; on her 60th birthday. Ramos has been CEO since 2009. The Absa board has appointed René van Wyk as the Interim Chief Executive with effect from 1 March. Van Wyk has been a non-executive director on the board since February 2017. He was previously the Registrar of Banks at the South African Reserve Bank and retired from that position in May 2016. Van Wyk was with Nedbank for almost two decades. He was also CEO of Imperial Bank. Ramos’ retirement came as a surprise. Last week Ramos announced new Nigerian investments while at the World Economic Forum in Davos, Switzerland. She spoke to Bruce Whitfield on The Money Show, without so much as hinting at retirement. Whitfield interviewed Wendy Lucas-Bull (Chairperson, Absa Group) and Pippa Green (Author of “Choice, not Fate: The Life and Times of Trevor Manuel”. Listen to the interviews in the audio below (and scroll down for more quotes from it). Maria had always set her sights on a seven-year term as CEO… All those milestones [which Absa agreed she should achieve before retirement] culminated in December.